Like many software projects, Salt has two broad-based testing approaches -- integration testing and unit testing. While integration testing focuses on the interaction between components in a sandboxed environment, unit testing focuses on the singular implementation of individual functions. Unit tests should be used specifically to test a function's logic. Unit tests rely on mocking external resources. While unit tests are good for ensuring consistent results, they are most useful when they do not require more than a few mocks. Effort should be made to mock as many external resources as possible. This effort is encouraged, but not required. Sometimes the isolation provided by completely mocking the external dependencies is not worth the effort of mocking those dependencies. In these cases, requiring an external library to be installed on the system before running the test file is a useful way to strike this balance. For example, the unit tests for the MySQL execution module require the presence of the MySQL python bindings on the system running the test file before proceeding to run the tests. Overly detailed mocking can also result in decreased test readability and brittleness as the tests are more likely to fail when the code or its dependencies legitimately change. In these cases, it is better to add dependencies to the test runner dependency state. This guide assumes that your Salt development environment is already configured and that you have a basic understanding of contributing to the Salt codebase. If you're unfamiliar with either of these topics, please refer to the Installing Salt for Development and the Contributing pages, respectively. 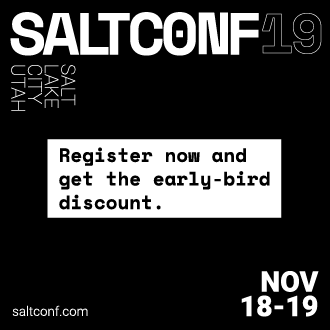 This documentation also assumes that you have an understanding of how to run Salt's test suite, including running the unit test subsection, running the unit tests without testing daemons to speed up development wait times, and running a unit test file, class, or individual test. Unit tests should be written to the following specifications. Each raise and return statement needs to be independently tested. Isolate testing functionality. Don't rely on the pass or failure of other, separate tests. Test functions should contain only one assertion. Many Salt execution modules are merely wrappers for distribution-specific functionality. If there isn't any logic present in a simple execution module, consider writing an integration test instead of heavily mocking a call to an external dependency. A reasonable effort needs to be made to mock external resources used in the code being tested, such as APIs, function calls, external data either globally available or passed in through function arguments, file data, etc. Test functions should contain only one assertion and all necessary mock code and data for that assertion. External resources should be mocked in order to "block all of the exits". If a test function fails because something in an external library wasn't mocked properly (or at all), this test is not addressing all of the "exits" a function may experience. We want the Salt code and logic to be tested, specifically. Consider the fragility and longevity of a test. If the test is so tightly coupled to the code being tested, this makes a test unnecessarily fragile. Make sure you are not mocking the function to be tested so vigorously that the test return merely tests the mocked output. The test should always be testing a function's logic. Salt loader modules use a series of globally available dunder variables, __salt__, __opts__, __pillar__, etc. To facilitate testing these modules a mixin class was created, LoaderModuleMockMixin which can be found in tests/support/mixins.py. The reason for the existence of this class is because historiclly and because it was easier, one would add these dunder variables directly on the imported module. This however, introduces unexpected behavior when running the full test suite since those attributes would not be removed once we were done testing the module and would therefore leak to other modules being tested with unpredictable results. This is the kind of work that should be deferred to mock, and that's exactly what this mixin class does. What happens in the above example is we mock a call to __salt__['config.option'] to return the configuration needed for the execution of the tests. Additionally, if the libcloud library is not available, since that's not actually part of what's being tested, we mocked that import by patching sys.modules when tests are running. This documentation applies to the 2018.3 release cycle and newer. The extended functionality for mock_open described below does not exist in the 2017.7 and older release branches. Opening files in Salt is done using salt.utils.files.fopen(). When testing code that reads from files, the mock_open helper can be used to mock filehandles. Note that is not the same mock_open as unittest.mock.mock_open() from the Python standard library, but rather a separate implementation which has additional functionality. This will force any filehandle opened to mimic a filehandle which, when read, produces the specified contents. When running tests on Python 2, mock_open will convert any unicode types to str types to more closely reproduce Python 2 behavior (file reads are always str types in Python 2, irrespective of mode). However, when configuring your read_data, make sure that you are using bytestrings (e.g. b'foo\nbar\nbaz\n') when the code you are testing is opening a file for binary reading, otherwise the tests will fail on Python 3. The mocked filehandles produced by mock_open will raise a TypeError if you attempt to read a bytestring when opening for non-binary reading, and similarly will not let you read a string when opening a file for binary reading. They will also not permit bytestrings to be "written" if the mocked filehandle was opened for non-binary writing, and vice-versa when opened for non-binary writing. These enhancements force test writers to write more accurate tests. This would make salt.utils.files.fopen() produce filehandles with different contents depending on which file was being opened by the code being tested. /etc/foo.conf and any file matching the pattern /etc/b*.conf would work, while opening any other path would result in a FileNotFoundError being raised (in Python 2, an IOError). The above example would raise the specified exception when any file is opened. The expectation would be that mymod.myfunc() would gracefully handle the IOError, so a failure to do that would result in it being raised and causing the test to fail. Using this example, the first time /etc/foo.conf is opened, it will simulate a file with the first string in the list as its contents, while the second time it is opened, the simulated file's contents will be the second string in the list. If no more items remain in the list, then attempting to open the file will raise a RuntimeError. In the example above, if /etc/foo.conf were to be opened a third time, a RuntimeError would be raised. Note that exceptions can also be mixed in with strings when using this technique. In the above example, if /etc/bar.conf were to be opened twice, the first time would simulate the file not existing, while the second time would simulate a file with string defined in the second element of the list. Notice that the second path in the contents dictionary above (/etc/b*.conf) contains an asterisk. The items in the list are cycled through for each match of a given pattern (not separately for each individual file path), so this means that only two files matching that pattern could be opened before the next one would raise a RuntimeError. The code for the MockOpen, MockCall, and MockFH classes (referenced below) can be found in tests/support/mock.py. There are extensive unit tests for them located in tests/unit/test_mock.py. read_data - A dictionary containing the read_data passed when mock_open was invoked. In the event that multiple file paths are not used, then this will be a dictionary mapping * to the read_data passed to mock_open. call_count - An integer representing how many times salt.utils.files.fopen() was called to open a file. calls - A list of MockCall objects. A MockCall object is a simple class which stores the arguments passed to it, making the positional arguments available via its args attribute, and the keyword arguments available via its kwargs attribute. # second was for binary write. Note that MockCall is imported from tests.support.mock in the above example. Also, the second assert above is redundant since it is covered in the final assert, but both are included simply as an example. call - A MockCall object representing the arguments passed to salt.utils.files.fopen(). Note that this MockCall is also available in the parent MockOpen instance's calls list. The read functions (.read(), .readlines(), .readline()) all work as expected, as does iterating through the file line by line (i.e. for line in fh:). The .tell() method is also implemented in such a way that it updates after each time the mocked filehandle is read, and will report the correct position. The one caveat here is that .seek() doesn't actually work (it's simply mocked), and will not change the position. Additionally, neither .write() or .writelines() will modify the mocked filehandle's contents. The attributes .write_calls and .writelines_calls (no parenthesis) are available as shorthands and correspond to lists containing the contents passed for all calls to .write() and .writelines(), respectively. Test names and docstrings should indicate what functionality is being tested. Test functions are named test_<fcn>_<test-name> where <fcn> is the function being tested and <test-name> describes the raise or return being tested. Unit tests for salt/.../<module>.py are contained in a file called tests/unit/.../test_<module>.py, e.g. the tests for salt/modules/fib.py are in tests/unit/modules/test_fib.py. In order for unit tests to get picked up during a run of the unit test suite, each unit test file must be prefixed with test_ and each individual test must be prepended with the test_ naming syntax, as described above. If a function does not start with test_, then the function acts as a "normal" function and is not considered a testing function. It will not be included in the test run or testing output. The same principle applies to unit test files that do not have the test_*.py naming syntax. This test file naming convention is how the test runner recognizes that a test file contains unit tests. A longer discussion on the types of assertions one can make can be found by reading Python's documentation on unit testing. In many cases, the purpose of a Salt module is to interact with some external system, whether it be to control a database, manipulate files on a filesystem or something else. In these varied cases, it's necessary to design a unit test which can test the function whilst replacing functions which might actually call out to external systems. One might think of this as "blocking the exits" for code under tests and redirecting the calls to external systems with our own code which produces known results during the duration of the test. To achieve this behavior, Salt makes heavy use of the MagicMock package. To understand how one might integrate Mock into writing a unit test for Salt, let's imagine a scenario in which we're testing an execution module that's designed to operate on a database. Furthermore, let's imagine two separate methods, here presented in pseduo-code in an imaginary execution module called 'db.py'. Here, let's imagine that we want to create a unit test for the create_user function. In doing so, we want to avoid any calls out to an external system and so while we are running our unit tests, we want to replace the actual interaction with a database with a function that can capture the parameters sent to it and return pre-defined values. Therefore, our task is clear -- to write a unit test which tests the functionality of create_user while also replacing 'execute_query' with a mocked function. # Skip this test case if we don't have access to mock! # Now that the exits are blocked, we can run the function under test. # execute_query to have been called. At times, it becomes necessary to make modifications to a module's view of functions in its own __salt__ dictionary. Luckily, this process is quite easy. Below is an example that uses MagicMock's patch functionality to insert a function into __salt__ that's actually a MagicMock instance. # From this scope, carry on with testing, with a modified __salt__! Let's assume that we're testing a very basic function in an imaginary Salt execution module. Given a module called fib.py that has a function called calculate(num_of_results), which given a num_of_results, produces a list of sequential Fibonacci numbers of that length. A unit test to test this function might be commonly placed in a file called tests/unit/modules/test_fib.py. The convention is to place unit tests for Salt execution modules in test/unit/modules/ and to name the tests module prefixed with test_*.py. This class contains a set of functions that test salt.modules.fib. that it's recognized by the test runner. This will report the status of the test: success, failure, or error. The -v flag increases output verbosity. Consider the following function from salt/modules/linux_sysctl.py. This function is very simple, comprising only four source lines of code and having only one return statement, so we know only one test is needed. There are also two inputs to the function, the name function argument and the call to __salt__['cmd.run'](), both of which need to be appropriately mocked. Mocking a function parameter is straightforward, whereas mocking a function call will require, in this case, the use of MagicMock. For added isolation, we will also redefine the __salt__ dictionary such that it only contains 'cmd.run'. Since get() has only one raise or return statement and that statement is a success condition, the test function is simply named test_get(). As described, the single function call parameter, name is mocked with net.ipv4.ip_forward and __salt__['cmd.run'] is replaced by a MagicMock function object. We are only interested in the return value of __salt__['cmd.run'], which MagicMock allows us by specifying via return_value=1. Finally, the test itself tests for equality between the return value of get() and the expected return of 1. This assertion is expected to succeed because get() will determine its return value from __salt__['cmd.run'], which we have mocked to return 1. Now consider the assign() function from the same salt/modules/linux_sysctl.py source file. #    # sysctl -w net.ipv4.tcp_rmem="4096 87380 16777216"
This function contains two raise statements and one return statement, so we know that we will need (at least) three tests. It has two function arguments and many references to non-builtin functions. In the tests below you will see that MagicMock's patch() method may be used as a context manager or as a decorator. When patching the salt dunders however, please use the context manager approach. There are three test functions, one for each raise and return statement in the source function. Each function is self-contained and contains all and only the mocks and data needed to test the raise or return statement it is concerned with.